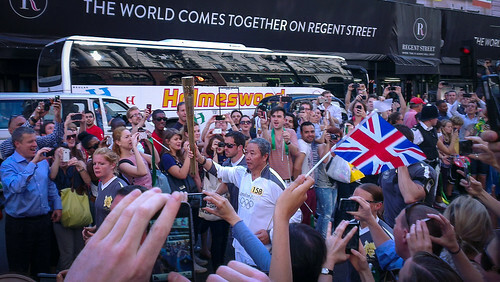 Warning: There’s probably going to be a bit of Olympics coverage in this blog over the next couple of weeks! 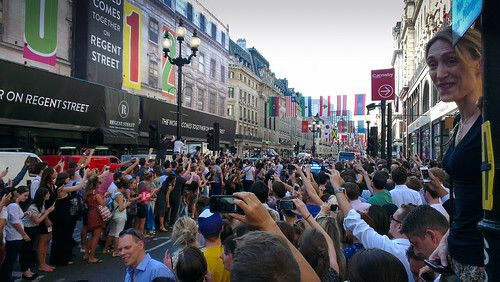 Well it was only around the corner, and I was coming back from a meeting anyway, so I had to join the massed ranks of office workers, shop workers, and tourists who came out to watch the Olympic flame come past. People grabbed every vantage point. 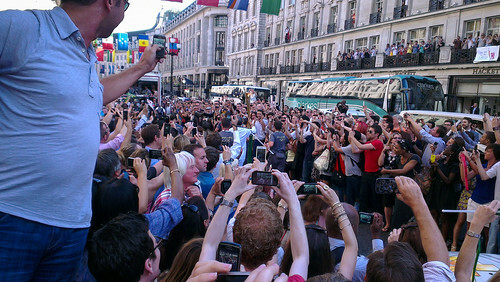 And of course, nobody was without either a phone or a camera.